Join HART & CRU at wine tastings and dinners at Cincinnati's top restaurants and venues. Experience unique, quality-crafted and limited production wines. Music Hall has been restored to glory and with that comes new spaces for us to indulge in great juice! 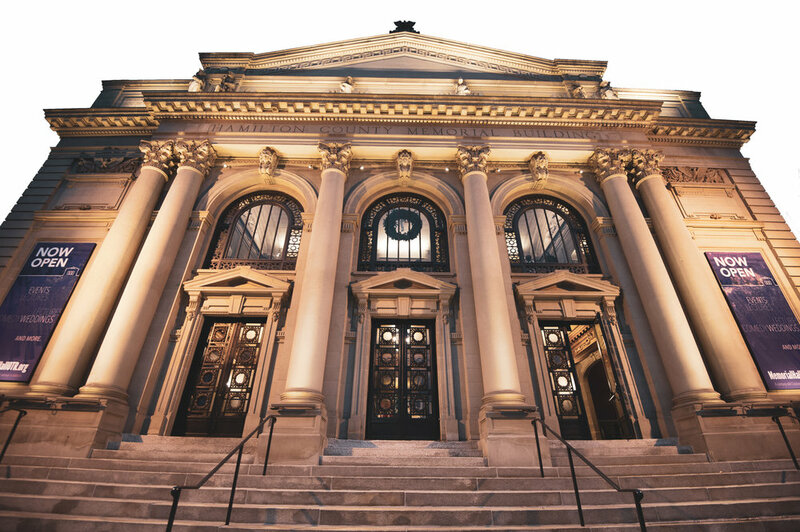 This season before Series 3 Saturday Subscription concerts, I am thrilled to partner with the Cincinnati Symphony Orchestra to share some of my favorite wines at Music Hall. 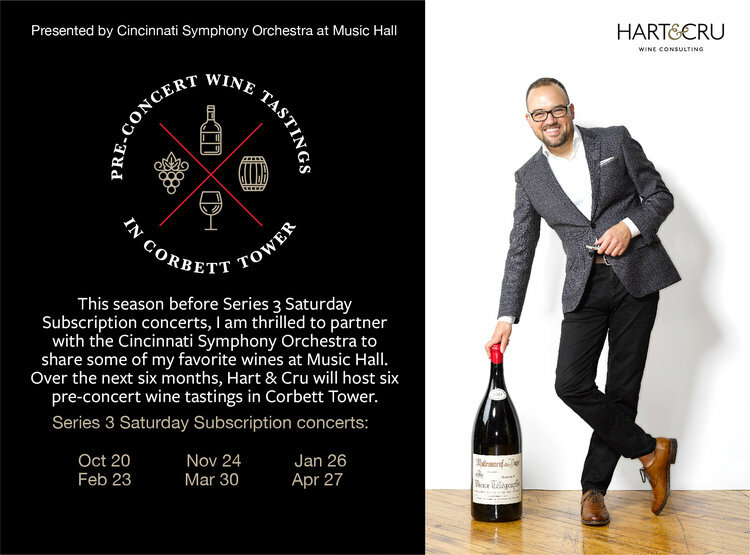 Over the season, Hart & Cru will host six pre-concert wine tastings in Corbett Tower. This is a really unique experience to enjoy amazing wine in an iconic place before a fantastic night of music. Since each performance is unique, I am hand-selecting wines that reflect the program’s themes—whether region, composer or piece (pours, price and flight availability will vary by concert). Many bottles I am bringing are not often seen in Cincinnati, so these evenings will be a rare chance to taste. Wine will flow in Corbett Tower from 6:30 p.m. – 8 p.m. No reservations are required. I hope to see you for a glass or two. How do you define the world’s finest wine? Watch and learn in this film screening, plus hear live from cast member and world-renowned Master Sommelier Dustin Wilson. Grab a post-film tasting ticket for bites from Cincinnati’s top restaurants alongside 30+ best-in-class wines. who will be pouring wine throughout the Grand Tasting & Collector’s Room. The greatest French Burgundies or the world’s best Pinot Noirs? In the third installment of the “Somm” documentary film series, next-gen experts complete a secret blind tasting in New York—while industry legends hold a rare tasting in Paris—and reopen the debate on what it means to be the world’s finest juice. 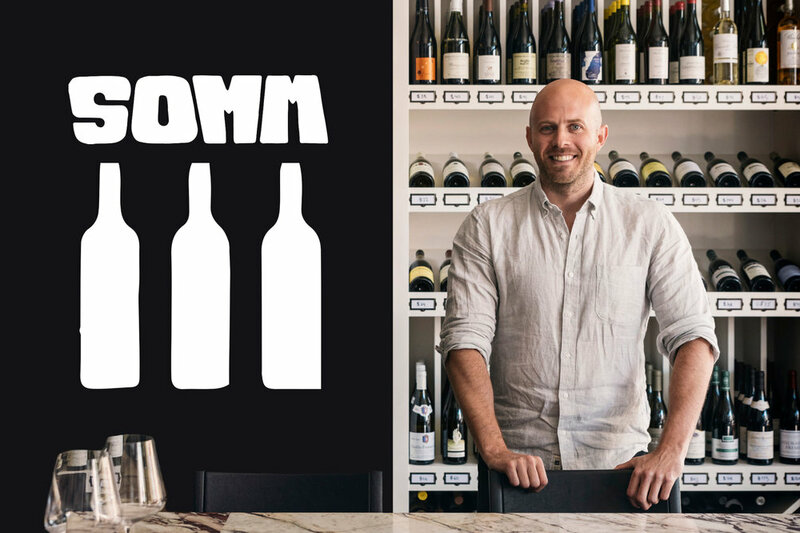 On March 31, experience their findings in Cincinnati’s first public screening of “Somm 3” with a special introduction from film cast member and former Eleven Madison Park sommelier Dustin Wilson M.S. In a live talk, Dustin will share his inside take on the film and how he defines unforgettable juice. After the film, soak up your wine know-how with 30+ curated wines from best-in-class producers across the globe and savory bites from Cincinnati’s top talent. Come find the wines you love, chat what you’ve learned and drink well. Great bottles and great company make a fun afternoon. On January 31st we are honored to host Alain’s son, Antoine Graillot, for an exclusive evening of allocated wines paired with a five course dinner. Alongside guest sommelier Kevin Hart, Antoine will pour wines from his family’s estate—including Crozes-Hermitage, Saint-Joseph, Maxime Graillot and Domaine de Fa. From a moderate 21 hectares in the Crozes-Hermitage AOC, Alain Graillot and his family have coaxed the vines and gained international acclaim with exuberant, robust and complex Syrah-based wines. In a mere 20 years, Graillot has established a reputation as one of the most talented producers not only in the Rhône Valley, but in all of France. The family recently acquired vines north of the Rhone in and around Fleurie Beaujolais and we are excited to be sharing this new property during the dinner. Each new release is allocated down to the bottle. 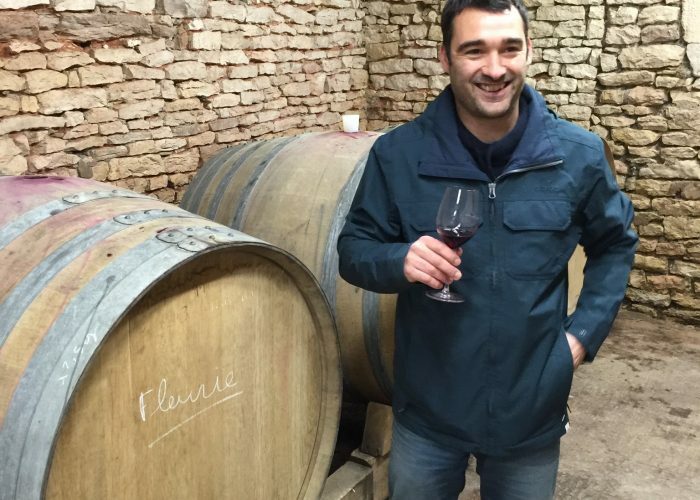 In France’s Northern Rhone Valley, there are few names as revered as Graillot. It was in 1985 that the now legendary Alain Graillot, who after working with the venerable Jacques Seysses at Domaine Dujac, came back to his home in Crozes-Hermitage to start his own domaine. With each passing year his devotion to the art of making hauntingly delicious Syrah from his organically farmed, stone-laden vineyards, has been rewarded with an ever growing and highly dedicated following around the world. So fervent is the fandom that each new release is now allocated down to the bottle. And so it would seem a daunting task for the child of such a luminary to follow in the footsteps of such a giant. Luckily for those who appreciate the art of viniculture, Alain’s sons Maxime & Antoine Graillot and the Domaine Equis and Domaine de fa not only continues the legacy started by his father, he also blazes his own trail in winemaking excellence. For one night only, Kevin Hart and the Cru will make the Fountain Square Holiday Market extra merry with a wine tasting. Take a break from shopping to taste eight hand-picked wines not often seen in Cincinnati, including six reds and two whites. Like what you taste and want to order for later? Hart & Cru is offering the evening’s featured selections in two holiday gift sets (four bottles each) for purchase with delivery to follow. While the wine will be seriously delicious, the night will be fun and casual. Advance tickets are encouraged but not required. You can find us in a tent on the northeast corner of the Square (Sixth & Walnut side). Save the date for an evening of exceptional champagne on November 29. More details coming soon. Astonishingly complex. Ethereal. Rich. Elegant. Each are qualities used to describe the great Etna Rosso and Bianco wines we have delighted in for years. This November 19 and 20, we are lucky to pour an exclusive flight from one of Etna’s great pioneers: Terre Nere. In turning a spotlight on the ancient volcanic terroir, Proprietor Marc de Grazia has set the benchmark for wines from the Etna. Drop by the bar or reserve a table to taste through four of Terre Nere’s standouts: Etna Bianco, San Leonardo Rosso, Guardiolo Rosso and Prephylloxera Rosso. This is a rare opportunity to taste some of the Estate’s prized single vineyards (Contradas). Enjoy your cozy date night flight with handmade pasta, or gather the group for wine and a bistecca to share. A feast under the candlelight is sure to warm the belly and the soul. 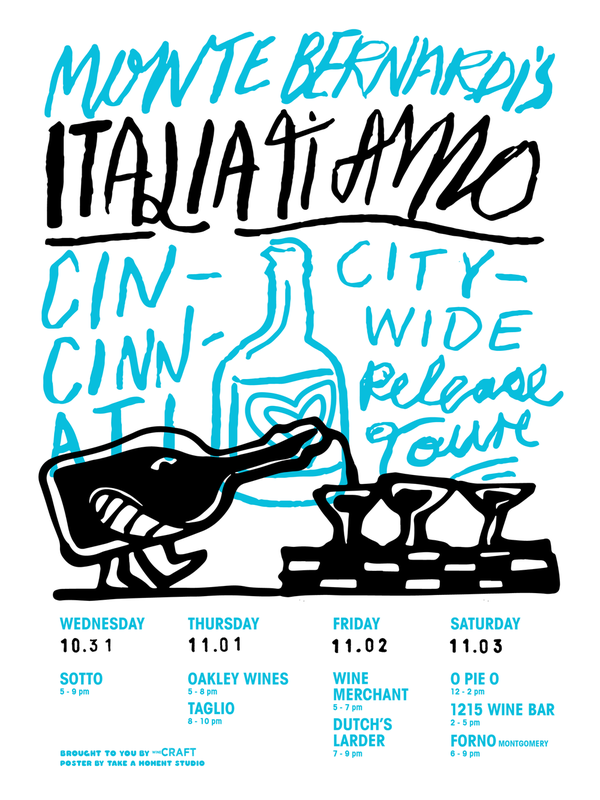 This October 31-November 3, eight locally-owned restaurants and wine shops will host Italian winemaker Michael Schmelzer in a deliciously-packed Cincinnati wine crawl: Sotto, Oakley Wines, Taglio, The Wine Merchant, Dutch’s, O Pie O, 1215 Wine Bar & Coffee Lab and Forno (Montgomery). Schmelzer, who is an American and all-around fascinating guy, began farming biodynamically at Monte Bernardi in Chianti Classico in 2005. His newest project, “Italia Ti Amo,” celebrates what we love most about Italian wine: it is uniquely shareable and inherently drinkable. Produced from certified organic grapes sourced throughout Italy, “Italia Ti Amo” is the universal, fun-loving table wine. Come to one stop or drop by for a few, we’ll be drinking all week. With crisp fall air rolling in, my excitement builds as I think about harvest. Months of labor, sweat and care all lead up to the days when fruit and vegetables are ripe for the picking. This is the time when farmers shine and we are lucky to feast on the best of the land. This October 27, come honor the hard work of the farmers at Greenacres Farm with a four-course dinner crafted by Chef Jeremy Luers from The Phoenix. Courses will feature produce and meats raised on the farm, plus wines from dedicated farmers I specifically selected for the menu. Each ticket includes A private viewing of the Greenacres Artist Guild Art Show: Art in the Making, appetizers and dinner prepared by Chef Jeremy Luers, wine pairings from Hart & Cru, and a keepsake Greenacres wine glass. While the food and wine will be seriously delicious, the night will be fun and casual. See you there. Reservations not required, please email us with questions. Each night the wines will be specially curated to tell a story with the concert in mind. Please let us know what questions you have and we look forward to seeing you soon. We had a crazy idea to open some iconic wines and let me tell some stories around why BRUNO GIACOSA is truly among the “Greatest of all Times Producers.” This tasting will be a tribute to a legend in the wine world who passed at the age of 88 in January.Bruno left a mark on the wine world, both through many faithful lovers of his wines and his wine philosophy. Known as the maker of the most traded and sought-after wines of Barolo and Barbaresco, his reputation is almost as noteworthy as his humility. This October 3, join me and a lucky few in tasting through his legendary wines alongside an exclusive menu from Sotto Chef Danny Combs. 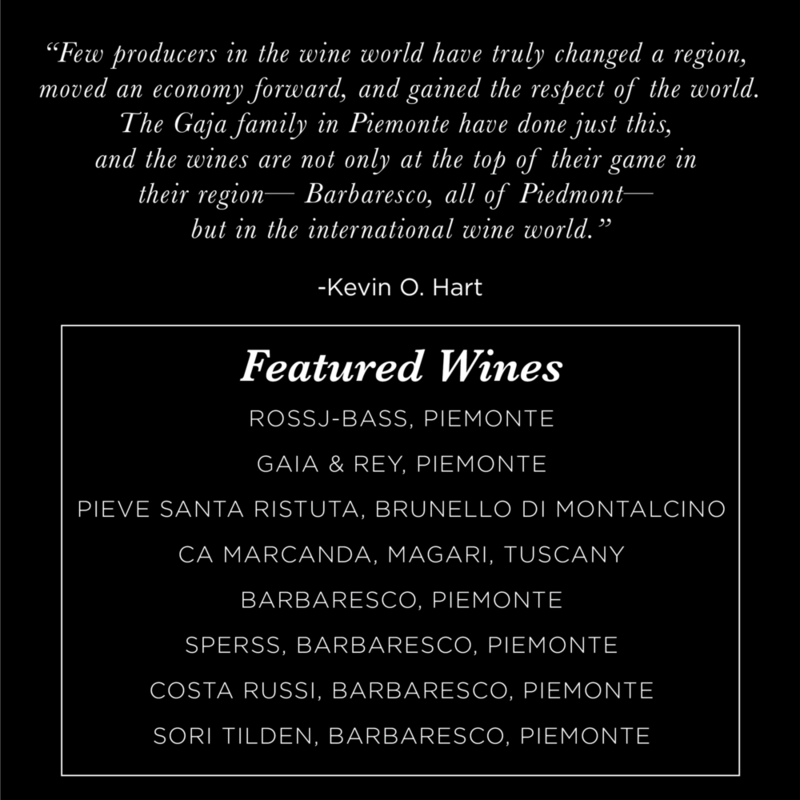 With such limited production—and even more limited allocation to Ohio—I am honored to personally present Giacosa wines for this one night only and share stories of my travels and love for the region. This is a rare opportunity that I had to take advantage of to create a special night to open these bottles. It's not every day you have the opportunity taste all of these wines together. I will pour Giacosa sparkling wines at 6:30pm, with a feast of 7 rustic Italian courses and 7 wines to follow at 7:00pm. Due to the collectors' level of these premium wines, we are hosting dinner for $230 a person for food & wine ($290 includes tax & grat). Please email or call if you would like a seat. A limited number of bottles will be available for home cellars. You do not want to miss these wines. Meet the 4th generation winemaker of the Nada family at A Tavola Madeira for handmade tagliatelle and Nebbiolo from his family’s incredible vineyard. The entire night will be casual and fun. 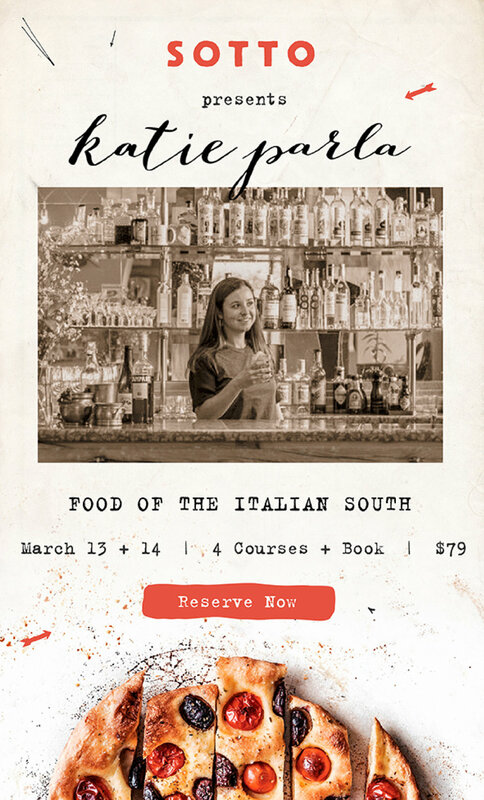 A Tavola does not take reservations but please give us a heads up if you plan on attending and we will do our best to accommodate your party. Nada Fiorenzo is hands-down one of the best producers in Barbaresco. While Barolo gets most of the spotlight, I think Barbaresco is equally deserving. When I traveled to Piemonte many times over the last 10 years., I was wowed by Nada Fiorenzo’s juice but even more so by the humility and passion of the tight-knit family who tends the vines. Danilo, a former sommelier and son of founder Bruno, combines his pedigree with such energy and character that you are immediately immersed in his stories. I hope you’ll join me in giving Danilo a warm welcome to Cincinnati (his first time!) at A Tavola in Madeira. He will roam the floor to share about the wines as we pour his favorites in a flight of three, plus selections by the glass. Featured tagliatelle and the full A Tavola menu will be available to enjoy as you sip. 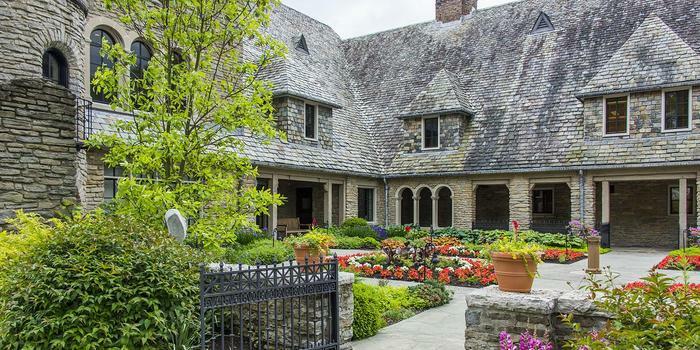 Want more details on Nada Fiorenzo? Keep scrolling for our story on this outstanding winemaking family. THESE RAINY DAYS HAVE GOT US IN THE MOOD TO OPEN SOME BOTTLES WITH FRIENDS CASUALLY AT THE OFFICE. WE HAVE PULLED SOME OF OUR FAVORITE WINES OF ALL STYLES AND ARE CASUALLY POURING THINGS BY THE GLASS THIS FRIDAY NIGHT. SWING BY, GRAB A GLASS, CHAT ABOUT ALL THINGS IN LIFE! WE’RE POURING 5 PM UNTIL THE WINE IS GONE. LIEU DIT WAS FOUNDED IN 2011 AND FOCUSES SOLELY IN THE VARIETIES INDIGENOUS TO THE LOIRE VALLEY, NOW GROWN IN SANTA BARBARA COUNTY. THE VARIED MICRO-CLIMATES AND MARINE BASED SOILS OF SANTA BARBARA COUNTY ARE IDEALLY SUITED TO THIS SET OF GRAPES. LIEU DIT CENTERS ON SAUVIGNON BLANC AND MORE LIMITED BOTTLINGS OF CHENIN BLANC, CABERNET FRANC AND ROSE AND PRODUCES AROUND 2500 CASES ANNUALLY. WHY WE LOVE LIEU DIT ! HART & CRU is excited to welcome, with the support of wineCRAFT and 3CDC, Eric Railsback of Lieu Dit Wines, Southern California, on July 24. Eric is a longtime friend of sommelier Kevin Hart and will be sharing some of his favorite wines at the Southwest Porch at Washington Park. Eric’s focus for Lieu Dit Wines is Loire Valley varietals grown in California. Through Eric's vast knowledge of European wines, his California project produces wines with character and soul. Eric was formerly the sommelier at wine-renowned restaurant RN74, which gained international recognition. Forbes named him as a 30 Under 30 for food & wine in 2014. He opened Les Marchands wine bar in Santa Barbara and has recently taken on many other ventures in the wine world. The wines of Lieu Dit have been some of Hart & Cru's favorites for years and we look forward to sharing them on July 24. We realized it has been too long and we need to pop some bottles with friends casually at the office. 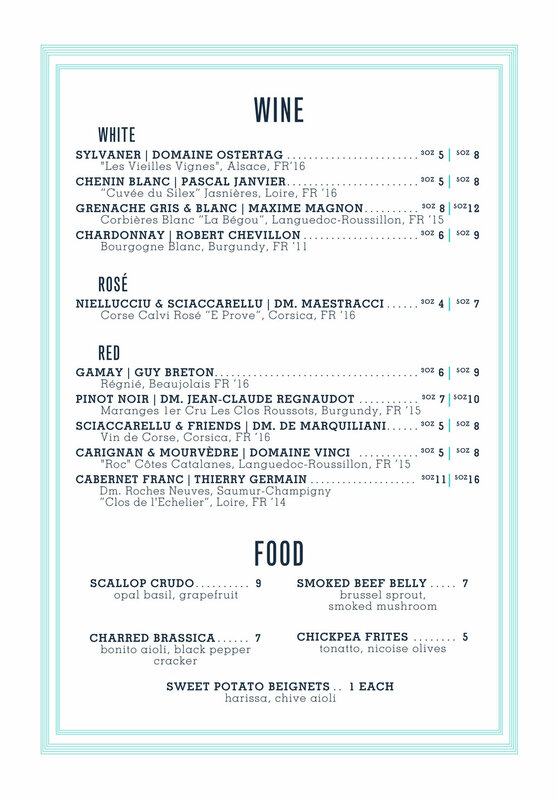 We have pulled some of our favorite wines of all styles and are pouring things by the glass this Friday night. Swing by, grab a glass, chat about all things in life. But, a heads-up if you can join is greatly appreciated. you can still order wine here! On Wednesday, March 14th, find your way out of the hustle of downtown and surrounds, to quaint La Petite Pierre, the destination in our fair city that most reminds me of a great find in the French countryside. Though the wines are not all from France, they’re all the crème de la crème. I am pouring six personal selections that best reflect the purity and potential of their regions to pair with five courses curated for the evening. Limited seating lends to a night of conviviality and bonhomie, so reserve yours while you can. On March 7 from 5pm-9pm at Sartre, join me and top sommeliers from around the city as we pour 25 amazing New California wines produced in the style of the Old World masters. The restrained and compelling New California wines reflect the terroir-driven spirit of both Wine Country's iconoclastic young winemakers and the pioneers of the late ‘60s and early ‘70s. Come for the great juice or make it an evening with hor d’oeuvres and entrées from the kitchen. Retail bottles can be purchased in person or online to enjoy later. I am going to be on the floor at Sotto, GUEST SOMMELIER style, next Wednesday. Make a reservation at Sotto to join me as I pour wine flights and geek out about producers I love, just like the old days. I know Cincinnati loves Barolo and I'm sure these will be some busy and fun nights. In an industry dominated by men, Chiara Boschis and the E. Pira & Figli Winery step forward as pioneers of change. Crackling with energy and determination, Chiara has turned out one fantastic wine after another from her small parcels (including a small portion of the famed Cannubi vineyard), producing some of the most refined and elegant wines in the region. Join us for our third and final Barolo night this January 31st where we’ll be welcoming special guest Chiara Boschis, E. Pira & Figli owner and winemaker, to pour flights of four of our favorite wines from the E. Pira & Figli estate. I am going to be on the floor at Sotto, GUEST SOMMELIER style, January 24th. I am going to be on the floor at Sotto, GUEST SOMMELIER style, for the next three Wednesdays. 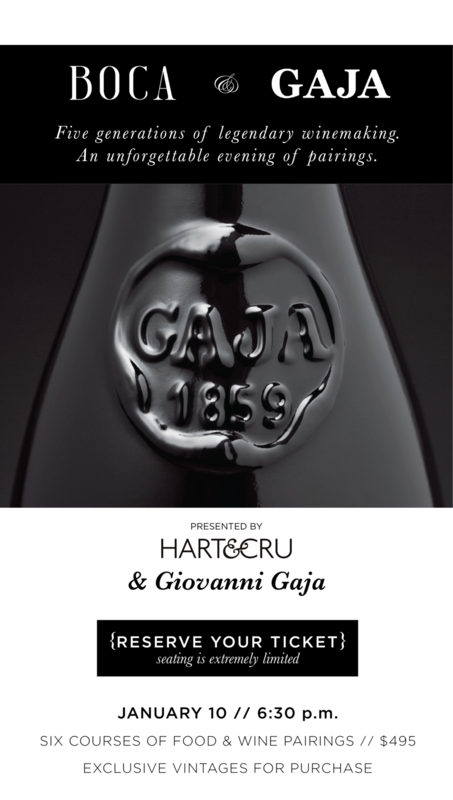 This January 10th, in collaboration with our dear friends from Boca Restaurant, we proudly present an evening of unforgettable food and the highly esteemed wines of the Gaja family. Founded in 1859 in Barbaresco, the legendary winery represents five generations of winemaking knowledge passed downward throughout the years. From modest roots set down by founder Giovanni Gaja, to the near monolithic reputation they carry today, Gaja has always made a point to put quality, craftsmanship and innovation at the forefront of everything they do. Join Giovanni Gaja, fifth-generation winemaker, for an evening showcasing the family's top vineyard sites and single vineyard wines, from Gaia & Rey Chardonnay to their iconic Barbaresco. Add to your cellar collection with exclusive vintages available for purchase. Kermit Lynch, iconic influencer of the modern wine world, deserves thanks for making it possible to drink great European wine every day, even though we’re in America. In that spirit, Sartre will open their doors on Monday, December 4th as a pop-up winebar to pour some KLWM classics + newbies. To give us a heads-up ! offered at an incredible value.